Garden Cottage Norbrook is in the village of Haslingfield yet only 15 minutes from Cambridge historic centre. It offers the tranquillity of a rural location and convenient access to the attractions and facilities of Cambridge . The village has a shop, post office and deli and access to a network of pathways to enjoy its rural environment. There are ‘must see’ attractions on hand in Cambridge, Ely and the iconic aircraft collection at IWM Duxford. The cottage is set in the gardens of the owner’s home, and they are on hand to ensure that you have an enjoyable stay. Garden Cottage lies in the garden of our house which we have restored over the last 10 years. Garden Cottage was originally a small barn. Notes on accommodation: Iron and ironing board are available on request. Outside: Patio area with table and chairs, barbecue and access to garden. Cleaning / Towels / Linen / Maid service: Bed linen and towels included and changed weekly. The property is cleaned on a weekly basis. Additional housekeeping services are available on request. Comfortable clean everything that we needed for a short break. Good access to Cambridge and surrounding villages. If opertunity occurs we will make a return visit. Lovely cosy cottage, perfect for our requirements. Absolutely wonderful.lovely cosy and comfortable accommodation. Can't fault it. Quiet and very comfortable. Convenient for Cambridge via Park and Ride.. This is a very well equipped and comfortable cottage for two people. The kitchen is fully functional and the heating is excellent. No hesitation in recommending it if you have your own transport. 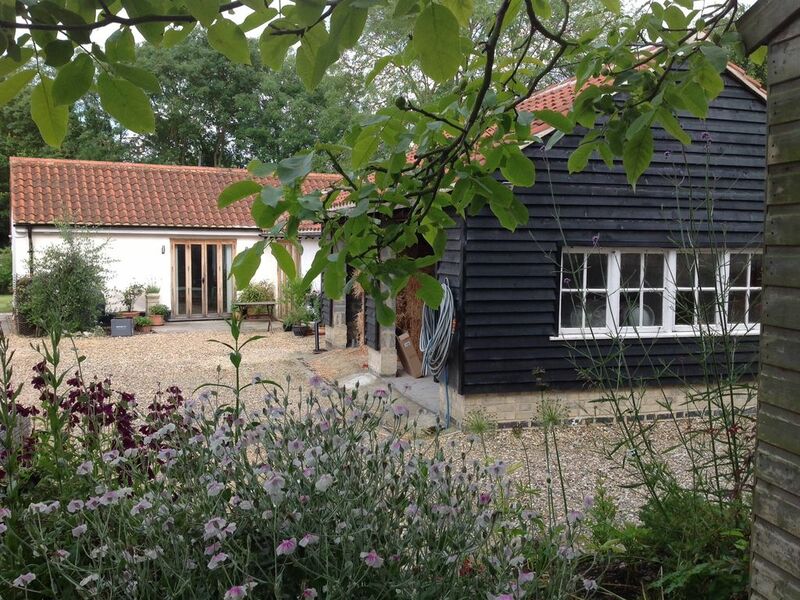 The cottage is comfortable, very nicely furnished, and allowed a really pleasant stay near to Cambridge but in a quiet village that was also a gateway to the countryside. The hosts were very friendly and gave lots of helpful advice. This is probably the nicest VRBO property we have used. Nearest airport Stansted 40 mins by car. Transfers can be arranged. Haslingfield has a general shop, Post Office and deli all within walking distance of the cottage. The city of Cambridge, accessible by car or by bike, has a full range of services: banks, supermarkets shops and a general market. Most of the Colleges in Cambridge have historic or architectural interest and are well worth visiting. National Trust properties Wimpole Hall and Anglesea Abbey with in easy reach. Imperial War Museum, Duxford has a collection of 200 iconic aircraft on display. Ideal base for walking or through countryside and to picturesque villages with many opportunities for pub lunches. Booking Notes: First check availability on this website or directly with the owners. Request booking form. Complete and return booking form with deposit. Final payment details will be forwarded. After final payment is received (6 weeks before holiday date) arrival details will be dispatched. Changeover Day: Saturday Short lets available on application. Notes on prices: The prices quoted are weekly. Short break prices are available.